In the late seventies, the eighties and the early nineties, the Scala cinema in London was a bit of a 'specialty' venue. Instead of being just a bunch of screens to show the latest blockbusters on, the Scala had a night-club status, not only meaning it had a license to sell booze, but also that its screenings were often exempt from British censorship laws. Because of this, the Scala showed an eclectic variety of films, ranging from Eurotrash, to classics, to gay cinema, to horror, often being the only venue where you could see the uncensored version of a film. Instead of a weekly selection, the Scala had a daily schedule, and the posters of its monthly calendar adorned pubs all over London. Jane Giles was the programme manager during the cinema's heyday, and she kept all of those posters. 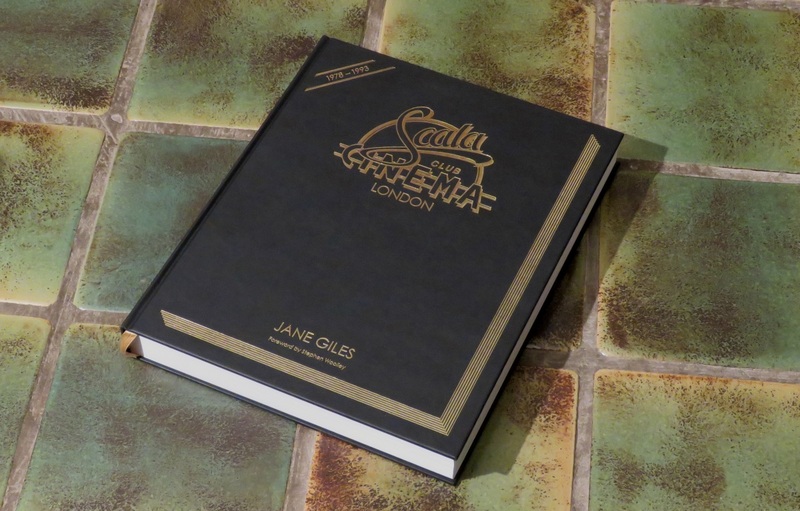 Well lo-and-behold: these have now been bundled by publisher Fab Press into one epic volume, book-ended by information about the cinema, written by Jane Giles herself. 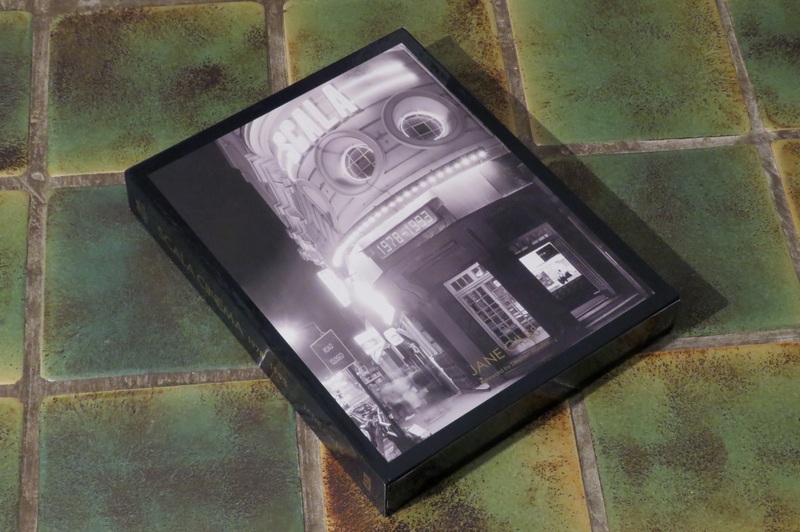 The book is titled Scala Cinema 1978 - 1993, and it is pretty awesome. While I wish I could claim to have been a visitor, the first film I ever saw in London happened months after the Scala closed its doors as a cinema-club, back in 1993. So why did this book interest me? Well, if you were a teenager in the eighties, chances are that nearly every cult-film you love is in this book. Flipping through the pages is a veritable feast of recognition. Also, while the Scala leaned towards the lewd and naughty at times, its programmes did show a lot of taste among the tacky. Finally, the calendar posters themselves are very easy on the eyes, and each month is accompanied by a page of information, detailing what the controversies were that month, or which local news had an impact at the time. All in all the book is a unique document of fifteen years of courageous counter-programming. I love it! As with my other book reviews, I'll end with a gallery of pictures, so you can get an idea about just how good this release looks. Click on the arrow buttons at the edges of a picture to move to the next, or in its center to see a bigger version! 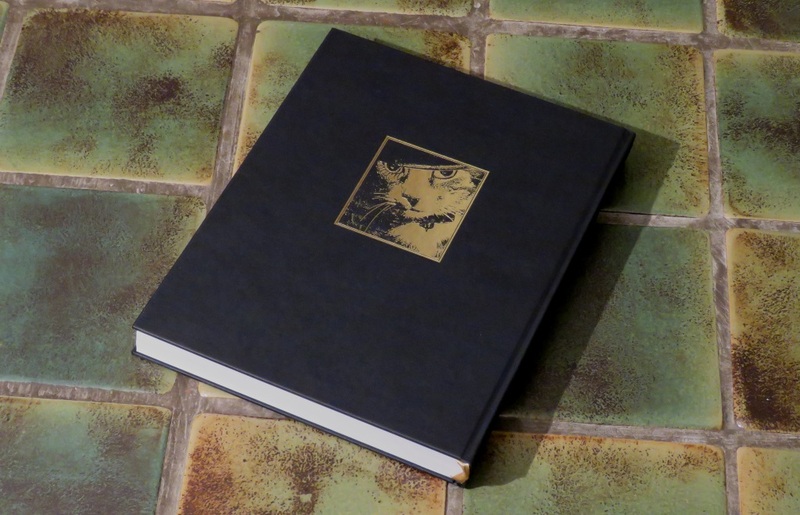 Here it is: a big book at 30.5 x 5.1 x 38.1 cm (12.0 x 2.0 x 15 inch). 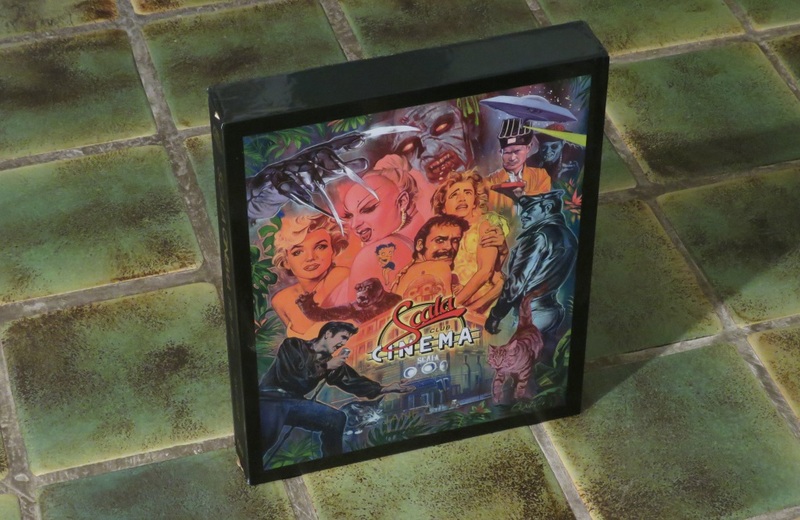 Publisher Fab Press organized a crowdfunding event to finance the book, and this is one of the early releases, with a biiiig slipcase. To show just how big this book is, here is a Blu-ray next to it for scale. Taking the book itself out of the slipcase. 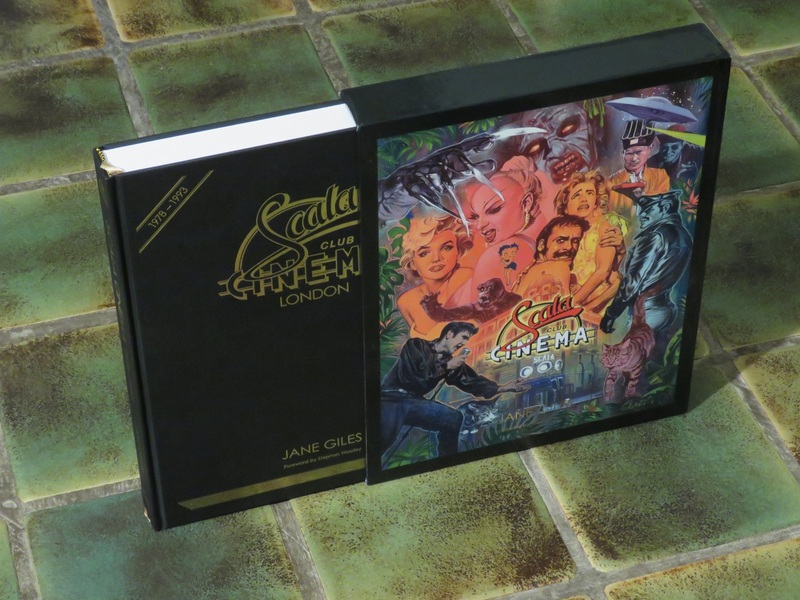 And here it is: 424 pages of Scala Cinema history. Most of the book is filled with the famous monthly calender posters. Each poster gets two pages dedicated to it: one for the image, the other for a brief overview of what happened that month. 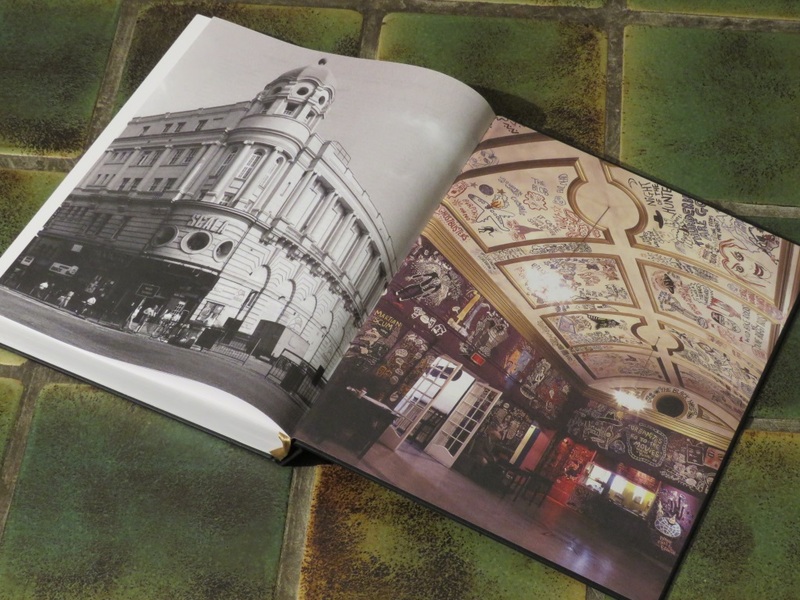 The remainder of the book is filled with stories and history about the Scala. 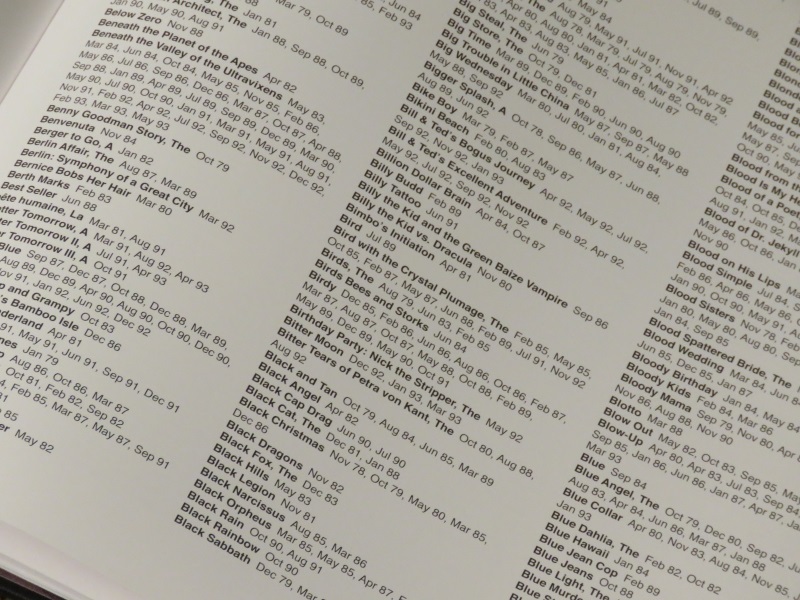 And at the end is a giant list of all films which have played there, and when and how often (Russ Meyer's Beneath the Valley of the Ultravixens was obviously a Scala favorite...). I've included the inner cover because it shows a great glimpse of what the theater looked like on the inside. The (back)end of the slipcase. Or is it the front? Always confusing with slipcases, as they switch the spine and have the book backwards in them... Anyway, what a great release!